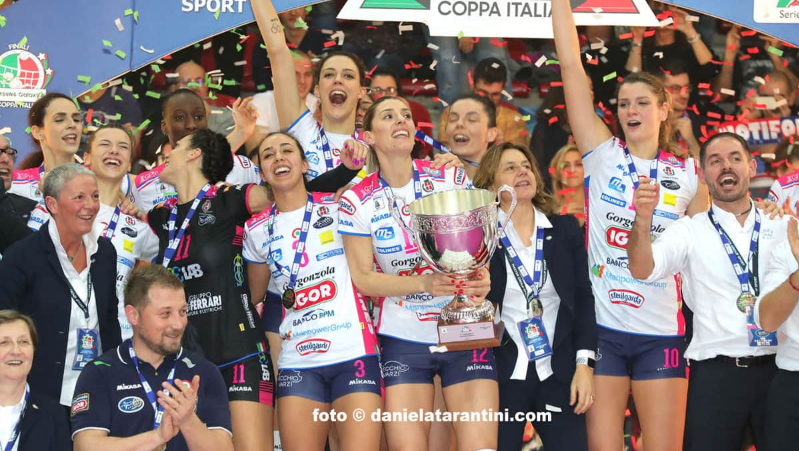 ITALIAN CUP 2018/19: Trophy stays in Novara! It was a super exciting final in which Novara had many troubles after taking the first set as their display suddenly dropped. It was a chance for Imoco to take over the lead and they managed to make it. However, unlike the game 10 days ago, now Novara answered back and in the last two sets, they played at the highest possible level to give the fans something to cheer about! Paola Egonu was the most dominant player of the game with 29 points! Michelle Bartch contributed with 15 points. In Imoco, Samanta Fabris and Myriam Sylla ended the match with 21 points each. mzaratem, azakazukini, mihaigogota likes it.